Henri Matisse was born on December 31, 1869 in Le Cateau-Cambresis, Nord. Henri Matisse went to art school at Academie Julian. 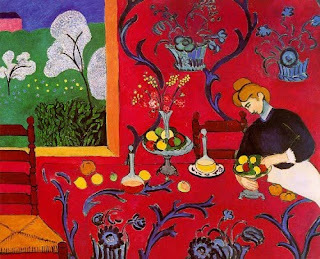 Henri Matisse’s most famous painting is Dessert Harmony in Red painted in 1908. 1. Matisse was influenced by Edouard Manet, Paul Cezanne, and Vincent van Gogh amoung others. 2. Matisse painted “The Dance ll” as a mural for the Barnes Foundation in Lower Merion Pennsylvania. Henri Matisse died on November 3, 1954 in Nice, Alpes-Maritimes.